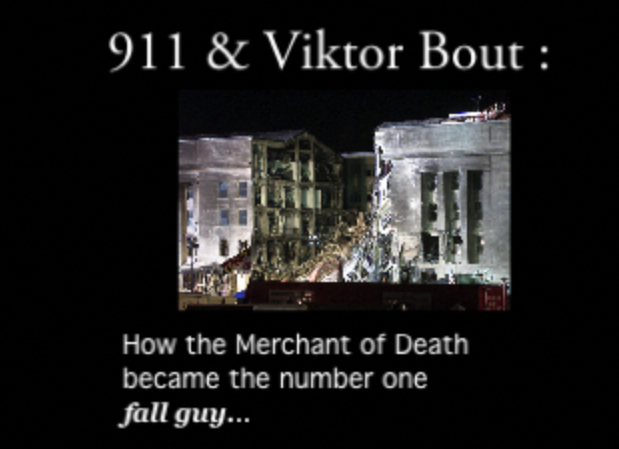 Dimitri Khalezov maintains that a Granit missile hit the Pentagon on 911. Most of this information will likely be available on Dmitri Khalezov’s site. I am not familiar with his work and have not read his book, however, out of respect for the request of my source I am publishing this interview on my site. I have spoken with Dimitri and received his approval for doing so as well. From what I understand, the upshot of all this is that Viktor Bont “Merchant of Death” from the excellent film, LORD OF WAR with Nicholas Cage playing Bont, is a convenient but innocent fall-guy for an operation that used a Russian missile. And that the Russians and Americans have a vested interest in pinning this missile on Viktor Bont. The Lone Gunman theory is an American favorite piece of misdirection to make sure the true conspiracy never sees the light of day. From the point of view of Project Camelot this information is useful and interesting in giving some background into the trail of the deception surrounding 911. This is not about whether Viktor Bont is or was an arms merchant (the argument that his planes were used by his “customers” does not necessarily remove him from that implication…) but rather, whether indeed such a missile did damage the Pentagon, how it got there and who commanded the operation.